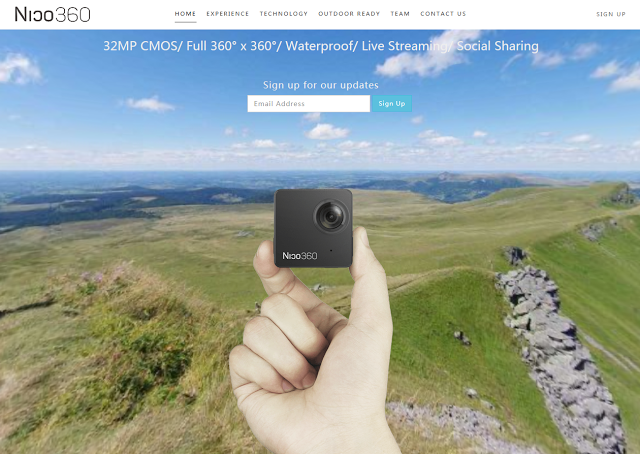 Nico360 is a fully spherical 360 camera billed as the world’s smallest. It attracted a lot of attention because it is also affordable and has several features desired by photographers and videographers such as being waterproof and having raw capture. A month ago, it completed its successful Indiegogo campaign, raising almost 6 times its original goal. Since then, however, the creators have been silent despite many inquiries from backers on its Indiegogo page. I contacted Nico360 to inquire and a rep said that an update would be coming ‘tomorrow’. So, hopefully we’ll indeed see an update on the progress of Nico360 perhaps tomorrow or within the next few days.